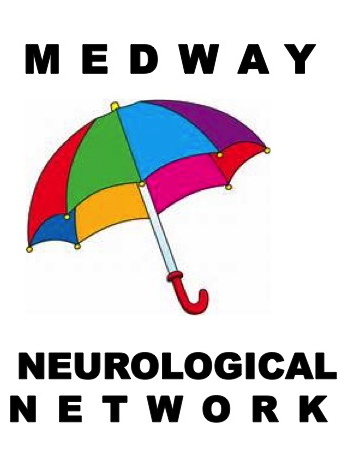 Medway Neurological Fair was opened by the Mayor of Medway, The Worshipful Cllr. David Wildey & the Lady mayoress Mrs Denise Wildey. 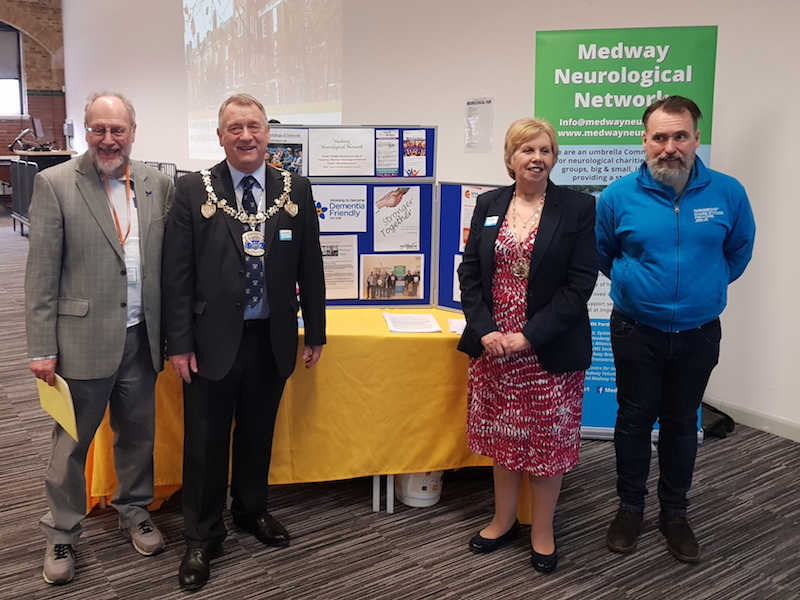 Medway Neurological Network wishes to thank the Mayor of Medway for opening the Fair and visiting each of our 31 information stalls. We also wish to thank our partner- organisaation, Medway School of Pharmacy, for making the Fair possible by providing the venue, catering etc. and making a major input into the talks. We are very grateful to all of our speakers and all of the support organisations that set-up information stalls to help make the Fair a success. Last, but by no means least we wish to thank Red Zebra/ Involving Medway, via the Kent Community Foundation, for providing a grant to help fund the Fair. Disability Medway Network Fayre, 19 January 2018, St Justus Church, Rochester. Organised by Joseph Wastell who founded the Disability Medway Facebook group. 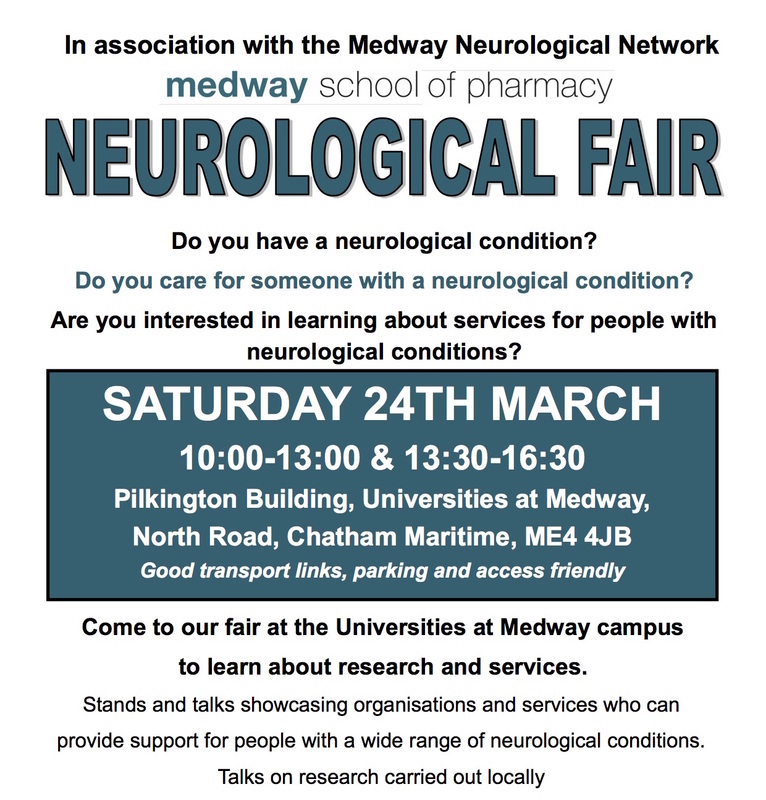 Medway Neurological Network and some of its participating charities and support groups had information stalls, see pictures below.